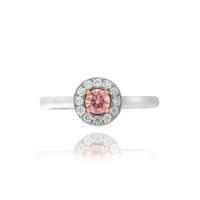 - Fine ornate colored diamond pendant setting with pave scrolls decorating a central 1.06ct Fancy INTENSE ORANGE cushion diamond, SI1. 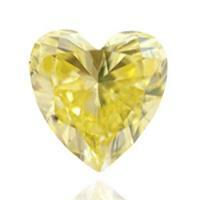 This beautiful pendant is mounted in 18K white and yellow gold. 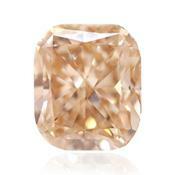 Pure Orange diamonds with no secondary hue are considered. Sert. GIA. 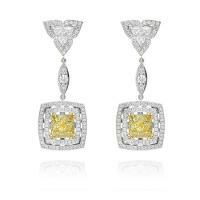 View all sale offering by orange diamonds. 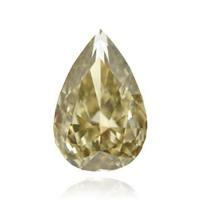 Natural fancy color diamonds are very rare and expensive. 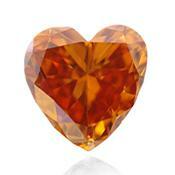 It is considered that less than 1% of the world's diamonds are orange. 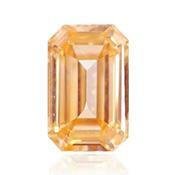 Of the 100 largest diamond is nearly 1 is diamond of orange color. 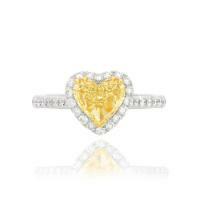 Orange diamonds are one of the most attractive colors, they combine the sharp freshness of citrus fruits with a warm glow of autumn leaves, therefore orange diamonds have both effects are refreshing and soothing. 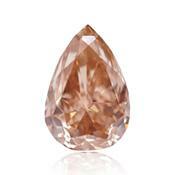 Owing to the brightness orange diamonds bear in themselves a huge charge of energy. 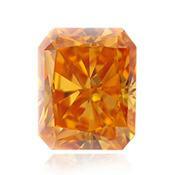 Orange color of diamonds represents creativity and success. 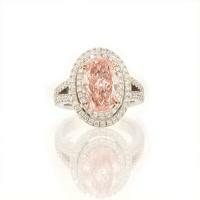 Due to the uniqueness and beauty of orange diamonds, buying products with orange diamonds is a great choice and a good investment. 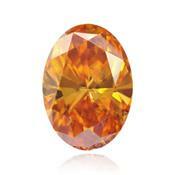 Natural orange diamonds present orange colors are a welcome asset to the well-known collectors of diamonds. 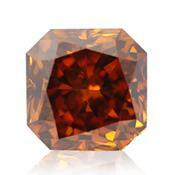 The occurrence of diamonds of orange color. 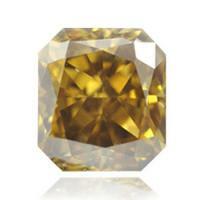 Orange diamond as well as yellow is obtained through exposure to nitrogen impurities in the crystal lattice of the stone during its formation deep in the earth. This process takes place over millions of years under the influence of very high temperatures and pressures. 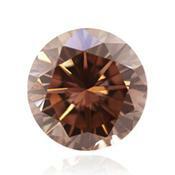 Diamonds really orange color is extremely rare, most orange diamonds are variations of yellow and brown. 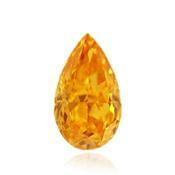 According to the rules of classification diamond rated as orange, if its present from 25 to 50% orange color. 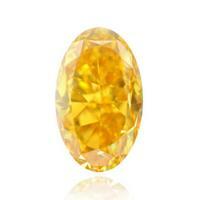 With a smaller percent classified as an orange diamond with orange shade. 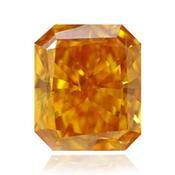 Price of orange color diamond. 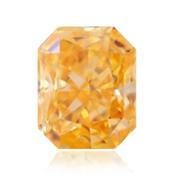 Approximate price for orange diamonds (Orange) until one carat is $ 40,000 per carat. 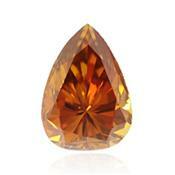 In 2010, the North West Province of South Africa the company “Namakwa Diamonds” mined brilliant weighing 7.53 carats, the color of which was classified as a “Vivid Orange”. 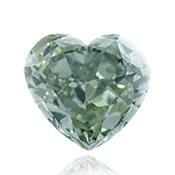 Total price of this diamond exceeded $ 1.3 million, set the record for the cost of $ 176.71 thousand per carat. 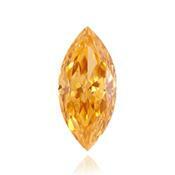 One of the most famous orange diamond is "pumpkin" of 5.54 carats, was founded by farmer in South Africa. 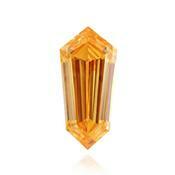 Fancy Vivid Orange was cut and polished by a famous master jeweler William Goldberg and in 1997 was auctioned at Sotheby's in Geneva, and sold for $ 1.3 million to Ronald Winston. The name "pumpkin" it was not only because of the color, but because that was purchased the day before Halloween. 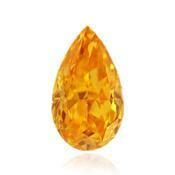 Currently, Pumpkin orange diamond valued at $ 3 million. 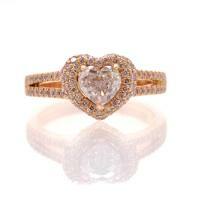 The best way to guarantee your purchase its to buy diamonds certified GIA. 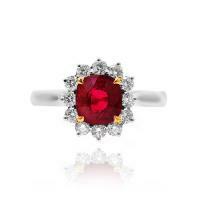 The gemological Institute of America (GIA) is non-profit organization which doesn't buy, doesn't sell diamonds, and specializes in the area of education and scientific researches. 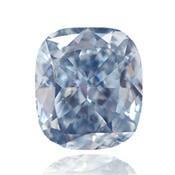 The certificate of GIA provides result of authenticity of a stone on means of the comprehensive analysis of quality. All of our orange diamonds with certificates GIA. 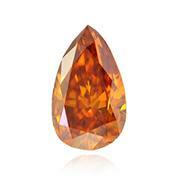 Pure natural orange diamonds are very rare in nature. 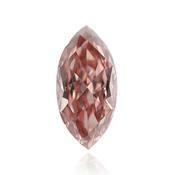 The most frequent combination of orange and yellow, or pink and brown colors, if the stone comes without additional color is drastically increases its cost. 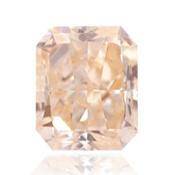 This is due to the fact that the orange diamond uniform color without shade are as rare find, as red and green diamonds. 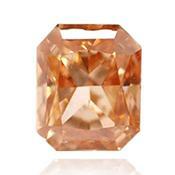 Like other color diamonds, the intensity of orange color varies from light orange to vivid orange. 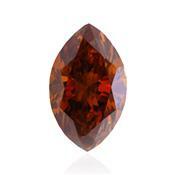 The classification of GIA, if the color is 25% -50% the diamond refers to the orange. 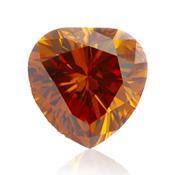 Orange diamonds may have a variety of shades, but will remain orange dominant color. For example, Light orange color, Fancy orange, Fancy Yellow Orange, Fancy Intensive Orange, Fancy Intense yellow-orange, Fancy orange brown, Fantasy brownish orange, Fantasy pinkish-orange, Vivid Orange. 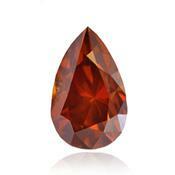 Where orange diamonds are mined? 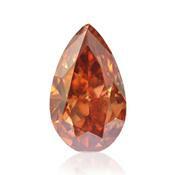 Mainly natural orange diamonds are mined in the Argyle mine in Australia, in the mines of South Africa, as well as the mines of Central Africa. 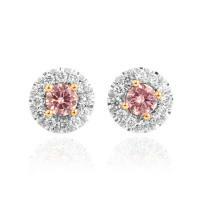 Lately, of course, the demand for jewelry with colored diamonds. 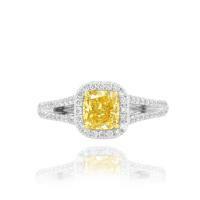 Many famous people wear and wear rings with various shades of colored diamonds. 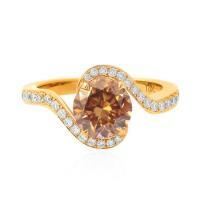 Among products with colored diamond rings are popular with orange diamonds. 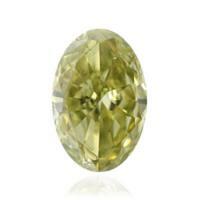 Power sunlight and vitality of diamond will accompany the owner in any situation. 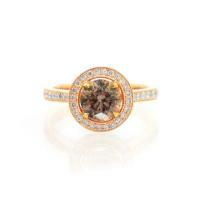 Fiery brilliance rings with orange diamond is ideal for those who would like to add a little fire to their appearance, stimulate the senses and feel the intoxicating warmth and energy emanating from this diamond.